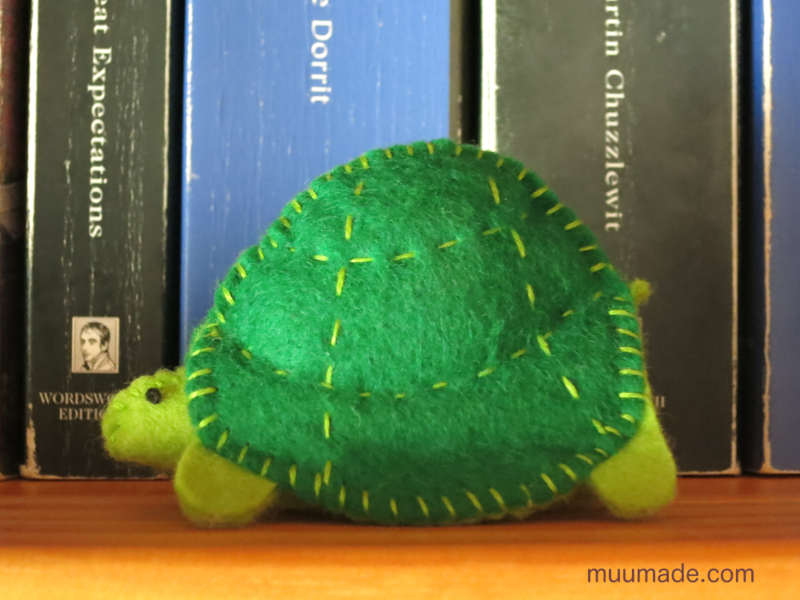 Tortoises may be slow, but they are steady and never give up! Who can win against that? 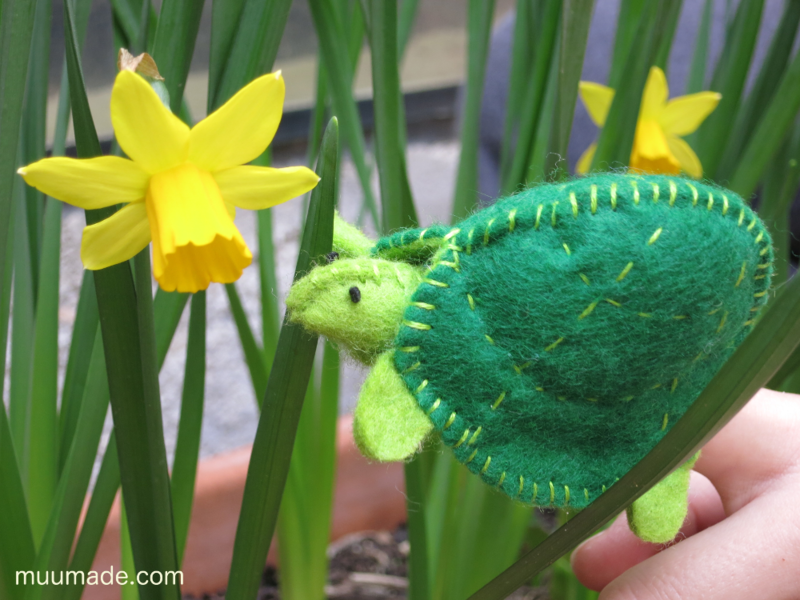 This tortoise is a finger puppet, but it is also a very cute decorative piece. He may be small, but he adds a lot of fun to wherever he is found, like on the edge of an otherwise austere bookshelf. The hare in the photo above is a good friend of the tortoise. They come as a set in A Hasty Hare & A Tardy Tortoise. 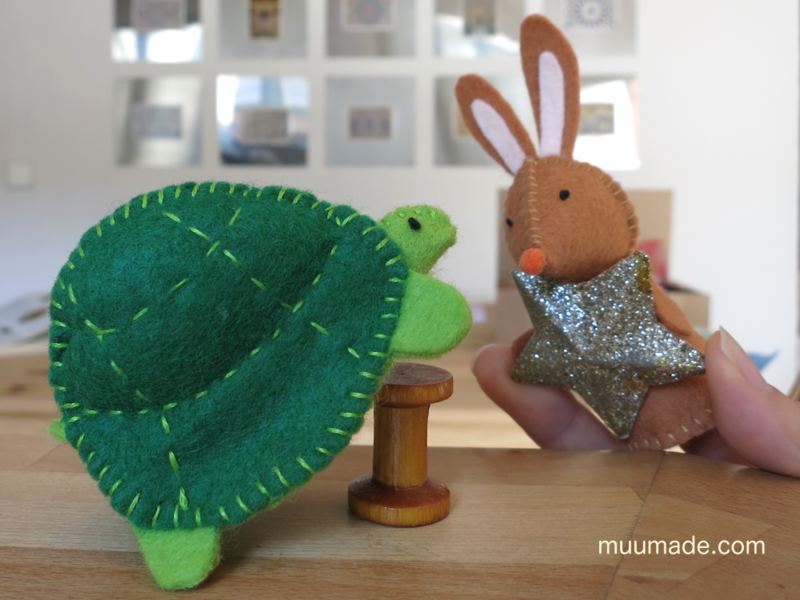 These download items are available from my online shop, muumade.etsy.com. You can also click on any photo above to go to the item page and download the instructions instantly upon purchase.